Security has become an important aspect of every business that operates online. This is because hardly anything can be assumed to be secure in the present environment that is infested by cybercriminals. Whether you are associated with a large conglomerate or a startup enterprise, the security threat remains the same for all companies. 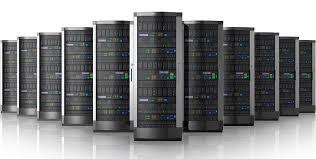 It is essential that the hosting service provider is carefully chosen after in-depth research. Reliance on a trusted network is the basic principle of protecting the system because public networks are just like playing grounds for cybercriminals. In spite of the fact that a dedicated server is the most sought-after resource for hosting web operations of an enterprise due to its amazing security and performance potential, one must secure it for delivering seamless performance. Keeping your dedicated server up to date in terms of security patches and other software updates is a fundamental step towards achieving greater security and enhanced availability of your business website. Scheduled weekly updates can be fixed to make sure that security gaps are taken care of on a regular basis. Proactively updating security patches is much better than anticipating notifications by software providers. Any hacker would be searching for gaps in security and therefore regular patching and updating is essential. Distributed Denial of Service or DDoS attacks has been a major cause for concern due to their potential to push the operations of a website to a grinding halt. These attacks have been occurring with considerable frequency over the recent past. You must secure your business website with help of DDoS protection facility that blocks entry to suspicious users while permitting only the legitimate visitors. Backing up of data on a regular basis is considered as a simple but highly dependable practice to secure mission-critical data. Nowadays remote data backups have been appreciated for the greater level of security since the data is being stored at remote data centers for an added layer of security. Sound data backup solutions guarantee the latest version of data in the event of any disaster so that you are able to bring the business back on tracks. Password hack is one of the commonest methods used by hackers to break in into the dedicated server environment. Once they have succeeded in entering, it is only a matter of time before the entire gamut of digital assets is either stolen or destroyed. In order to achieve protection from password hackers, you need to harden security at the password level by drafting a tough policy for use of passwords. The first and foremost action after purchasing a dedicated server is to modify the default password which has been set by your web host. While setting a new password, one should not restrict only to permutation and combination of alphanumeric passwords but should also include special characters, symbols, and letters of different cases. No password should be used for a prolonged period of time. Frequent changes are important to ensure an added security. Installation of applications is a common practice in dedicated server operations and this may raise the potential for malware related concerns. Malware is some of the most dangerous threats since these can be hidden inside legitimate applications or scripts and are designed to impact business critical information including sensitive databases. This underlines the significance of a hosting service provider that practices seamless scanning for vulnerabilities. Secondly, one must be always on the lookout for suspicious behavior of the website and perform comprehensive testing of applications and scripts prior to installation. Malicious intruders are found to focus on server environments that are not secured. They leverage the presence of loopholes that are left open to copy and steal the data. If you are worried about DDoS and other types of attacks, then go for a dedicated server that is built by using trusted components from proven brands. The system resources must not be compromised at any time and the service provider should be capable of thwarting malicious attacks with help of firewall protection measures. The most serious threat to the security of databases is in the form of SQL injection. If your business is engaged in collecting and storing sensitive information, then this aspect of database security is applicable to you. Cybercriminals can fool your applications with help of specially drafted SQL queries in order to succeed in the execution of unexpected commands by databases. Databases can be secured by keeping the number of database users to a bare minimum number. It always pays to get rid of unwanted information. Any zone that permits interaction between database and users must be sealed off if the same is not desired. Adherence to best security practices as discussed can certainly protect your dedicated server to perform as expected. However, one needs to spend a considerable amount of energy and efforts to follow security tips. This calls for a professional service provider of managed dedicated server security.